Chef François de Mélogue’s Kickstarter campaign to help fund this first cookbook, Cuisine of the Sun, ends in a week. They’ve already reached their goal which means the book will be published! Congrats! They are stretching their goal a bit more and proposing a US Book Tour to help promote and sell the books. The Book Tour will consist of interviews, book signings, author luncheons, cooking classes, etc. They are already looking at visiting Phoenix, Charleston, Los Angeles, Chicago and Seattle. Chef De Mélogue’s speciality is in Provençal and Mediterranean-inspired cuisine. 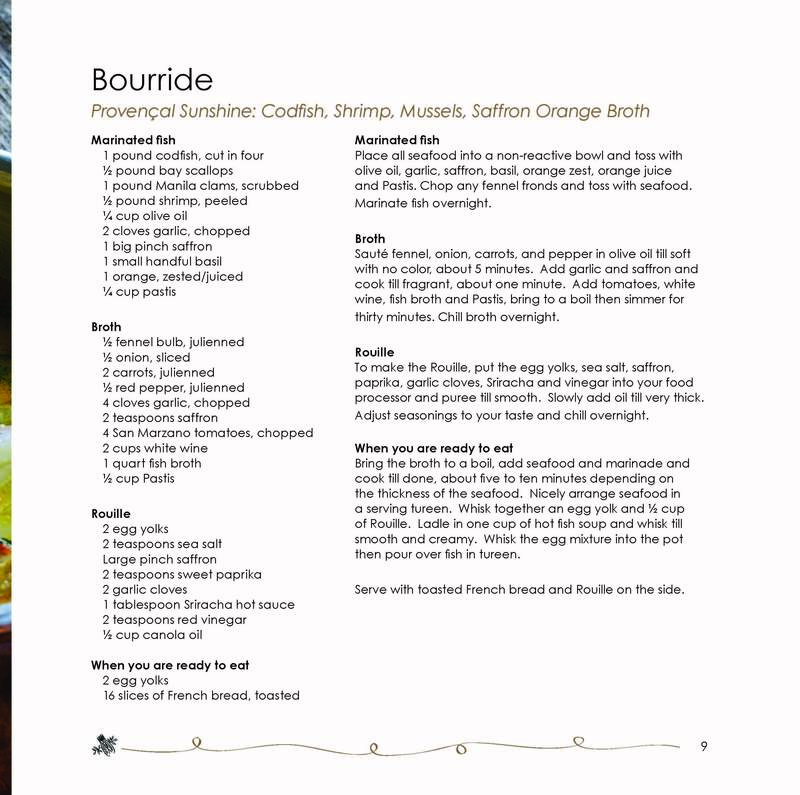 Here’s a recipe from the book courtesy of Chef François de Mélogue. It’s a bourride fish stew featuring codfish, scallops, shrimp and manila clams, and a saffron orange seafood broth. Check out his Kickstarter campaign and pre-order a copy of the cookbook. Francois also writes a culinary blog EatTillYouBleed.com.